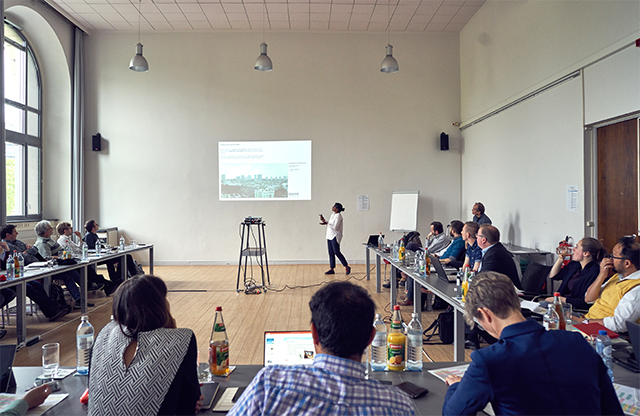 On 2 May 2017, the 4th VELUX Daylight Academic Forum was held at Technische Universität Berlin. This year, 22 PhD students from 10 countries met to share their current research projects with a panel of other fellow PhD students and a panel of leading scientific experts from around the world. The Academic Forum is held in connection with the biennial VELUX Daylight Symposium. The aim of the forum is to provide an opportunity for PhD students to discuss their current research projects and to receive critical feedback at an early stage of a research project. The forum creates space and time for students to discuss research methodology and how they can arrive at better results with their experiments. The format of the VELUX Academic Forum allows students to network within and discover the breadth of the daylight research field. Each student was invited to present a brief overview of their research to all attendees and experts. Students were then placed in workshop groups where they made in-depth presentations of their research and received constructive feedback on the methodological aspects of their work. Gillian Treacy, The University of Edinburgh, How can we use translation tools to encourage engagement with daylighting in architecture?